When a person dies, their affairs must be put in order. Their assets must be ascertained and gathered in (known as their estate), their debts paid and the net assets then distributed to the people entitled to them by law. This is what is called the administration of an estate. 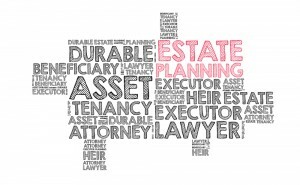 The person who administers the estate is called the Personal Representative. If there is a will, the Personal Representative is called the Executor and if there is no will the Personal Representative is called the Administrator. Where the deceased person made a will, he or she will have specified in the will the person he or she wishes to act as executor. Where there is no will, the law determines who will be entitled to act as administrator-usually the closest next of kin. ( where there is a will) or a Grant of Administration ( where there is no will) to access and deal with the deceased persons assets- their house, their other property, their bank accounts, investments, shares etc. The Grant of Probate /Grant of Administration is a document which issues from the Probate Office after various documents and proofs have been filed with that office. Where there is a will, the deceased person will have specified what is to be done with his or her assets and the people that are to benefit-the beneficiaries. Where there is no will, the law provides that the assets are to pass to the closest next of kin. Acting as a Personal Representative is a very responsible position and it is important you understand your duties and functions. Some estates are very straight forward but some can be quite complex. There can be difficulties with establishing if there was a will and whether the will is valid. There can be problems establishing the extent of the deceased persons assets and additional formalities can arise if some of the assets are located abroad. There can be problems locating and tracing beneficiaries or even determining who the rightful beneficiaries are. There can be disputes between beneficiaries, disputes regarding assets, disputes regarding debts. There can be very significant taxation issues. It can be extremely difficult to focus on the legalities and formalities when the family is still grieving. It can be difficult to be objective when family disputes arise. Knowledge is essential as is a logical, organised and practical approach to the issues which must be addressed in order to successfully administer an estate. At Stone Solicitors, we will guide you through the process in a sensitive manner. We will explain what is involved, the likely sequence of events from when we first meet with you through to finalisation of the estate and the issues likely to arise in your particular situation. We will estimate for you the costs involved. We will answer your questions. Come and talk to us.